Correctly fill out the fields below to confirm your registration. You can create an account on the site with the Social Login ID. Pleace do not register more than once! Fields with * need to be filled in properly. The Ford Fiesta family celebrates the coming of the second-generation R2 hatchback series. 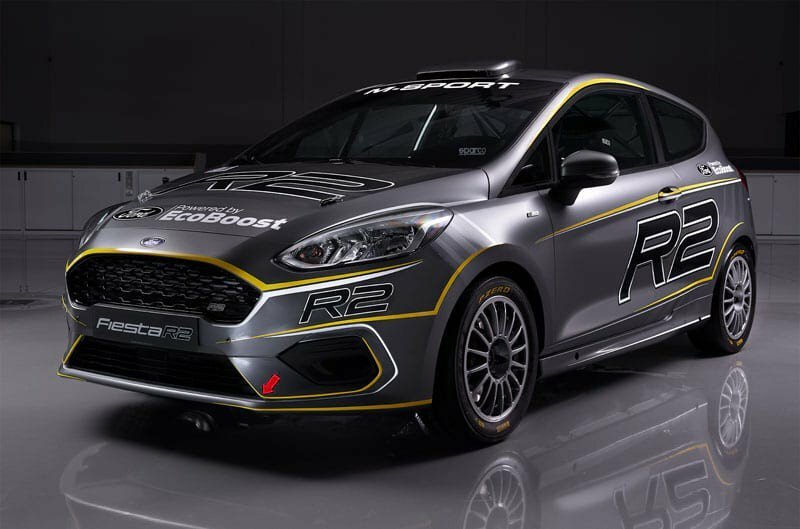 The vehicle has been conceptualized and designed as a dedicated rally car by M-Sport, a British company with over 20 years of experience as a Ford partner. The new vehicle is fully compliant with the R2 racing regulations, which essentially means that its body, engine and suspension are all derived from their mass-produced counterparts. The car is powered by a 0.9-liter turbocharged engine good for 200 hp (149 kW) and 290 Nm (214 lb-ft) of torque. The motor connects with a five-speed Sadev transmission featuring three different kinds of diff locks. The Ford Fiesta R2 comes with a revised roll cage and a new seating formula. Compared to its predecessor, it also packs adjustable roll bars and shock absorbers. The assembly will take place in the M-Sport facilities located in Krakow, Poland. Prices remain unannounced. © 2017 FormaCar. All rights reserved. By clicking on the button "SEND" or using the feedback address support@formacar.com I consent to the processing of personal data. I consent to the processing of personal data.